A lot is on the line for the 49ers and it rides on the outcome of the Ray McDonald investigation. Throughout the entire Ray Rice domestic violence news that has overtaken us this past 24 hours, we are reminded that the 49ers are dealing with a similar situation. 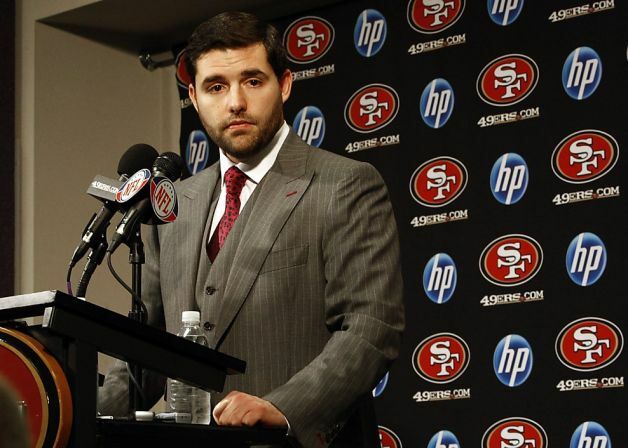 “Ray McDonald is not Ray Rice,” 49ers CEO Jed York told KNBR this morning. He is right. But it’s tough to try to sift through all the discussion with domestic violence right in the forefront and not find similarities. Ray McDonald is not Ray Rice. That is true. His situation is not similar to that of Rice’s. But with Rice ordeal still in our minds, the 49ers are very aware of the potential consequences if McDonald’s alleged domestic violence attack is true. But of course, the 49ers are not the type of organization to be the judge, jury and executioner on their own. They wait when they’re demanded to be swift. The same way they waited and allowed Aldon Smith to play one game before hearing the outcry of the public. Then did Smith receive some sort of punishment in the form of rehab. It was only then after did the NFL suspend Smith for nine games. They knew that Smith was out of control, yet they balked at making a move. And we have the exact same situation now within the organization. The 49ers are going to wait it out. They are going to wait until all the facts are presented and the investigation is completed. They’ll then act. Despite the outcry of the public and media for them to sit McDonald or suspend him, the 49ers aren’t doing it. Any organization that knows that one of their employees has committed such a crime should be punished. That is, if they truly believe that the employee did do the crime. If not, they wait. Until we can go through an entire process, and understand all the facts, and let that play out, I mean, again, I would much rather have somebody criticize me for doing that than punishing somebody that might be innocent and put them in a position where we’re presuming guilt before you’ve given them an opportunity to prove their innocence. That’s how York explained it on KNBR this morning. Their reputation, integrity, worth, trust all depend on whether or not McDonald is innocent. The 49ers have to believe that McDonald is innocent. That’s the only explanation why they’ve let him play and no punishment was handed. McDonald must have told them everything and they believed him. The team must have done their own personal investigation and realized that the odds are that McDonald will be cleared. But if the NFL’s handling of Rice’s situation is any indication, it’s hard to trust an organization when their brand image is on the line. How much of this is about PR? How much of this is just to milk out all the top talent out of McDonald before he gets suspended? What’s more important to the team: the wins or the responsible actions? I would like to believe that the 49ers truly believe, and have good reason to believe, that McDonald is innocent. I hope the team did everything they could with their resources to conclude that McDonald is innocent. I hope he is. I hope the investigation proves it. But if he isn’t, then there goes another black eye on the team. There goes the trust that they tried to build with their fans, sponsors and the public. What will we think of them now? They value their wins more than the value of the safety of women? Are they too scared to take a stand for what’s right? I’m not sure what to make of this team. I believe that they are doing the right thing. I don’t want to see them criticized for lack of integrity. But it’s hard to ignore the naysayers. We’ll find out when all the facts come out. Then we’ll know what kind of people are in charge of the 49ers. Then we’ll know if we can trust them again. This entry was posted in Column, NFL, San Francisco 49ers and tagged Ray McDonald, Ray Rice. Bookmark the permalink.